01 Jul Need something to do these holidays? 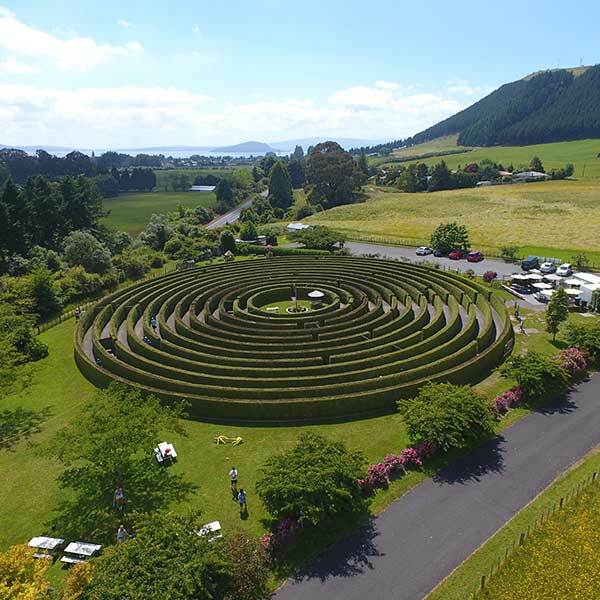 Rotorua is home to some wacky attractions but this outdoor maze makes a good time of old fashioned fun — lose yourself (or the kids) in the 1.4km trail of winding pruned hedges. The maze only takes around 20 minutes to complete and is challenging without being impossible. On-site there’s also a monarch butterfly house to explore, an aviary, animal petting and giant board games including connect 4 and snakes and ladders to make the entertainment last even longer.